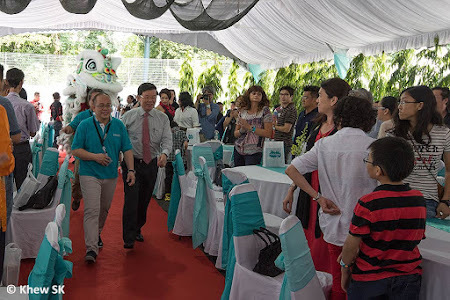 Georgetown, the capital of Penang, was declared a UNESCO World Cultural Heritage City in 2008. 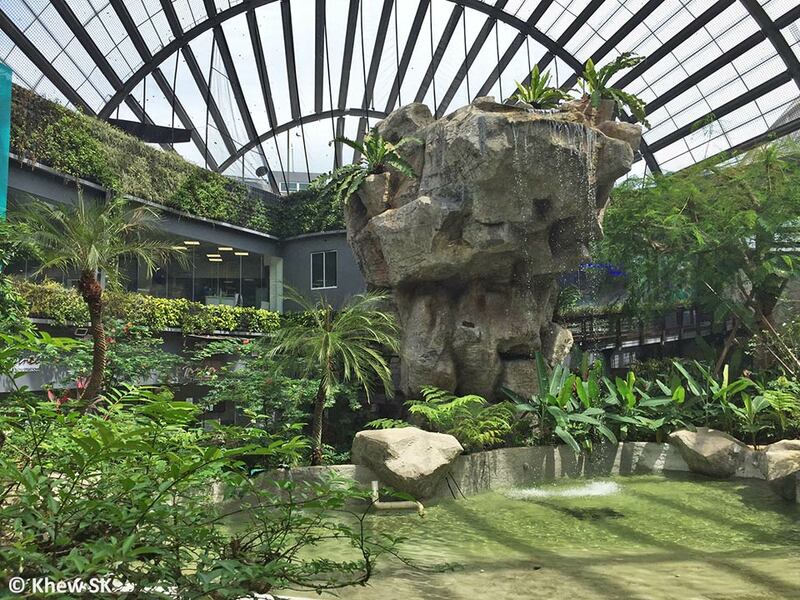 Its heritage and architecture stood out in that it illustrated 500 years of cultural and trade exchange between East and West. For the past 30 years, amongst Penang's many tourist attractions, was a little butterfly farm tucked in the north-western part of the island. Sitting on a 0.8 Ha site, the Penang Butterfly Farm was founded in 1986 by David Goh to feature a display of live butterflies amongst lush greenery. 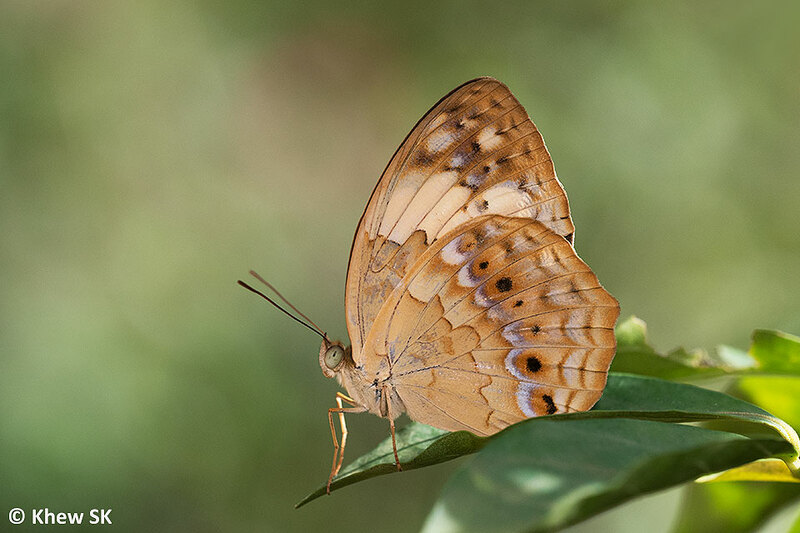 In 2006, David's son, Joseph Goh, took over the running of the Penang Butterfly Farm. 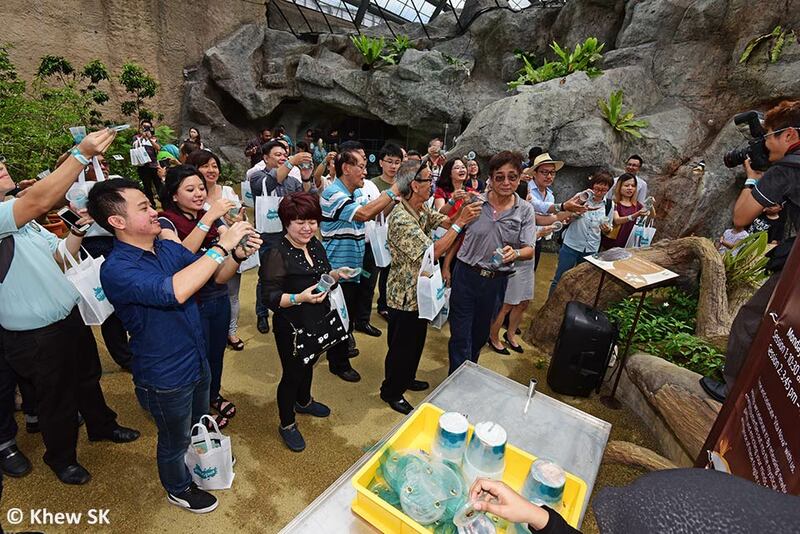 Driven by his belief and vision that the butterfly farm should not be just a tourist attraction, but an educational and nature conservation centre, he embarked on an ambitious journey of creating a new facility to embody his vision. 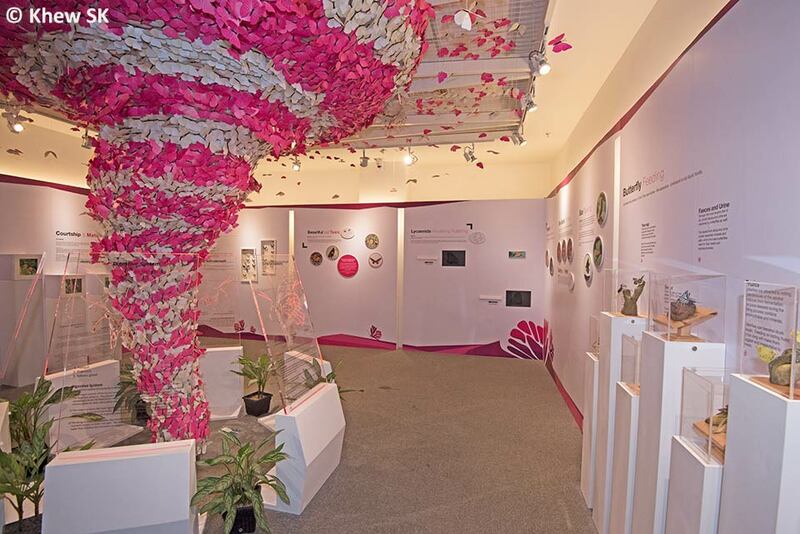 A process of rebranding and changing the focus from a tourist attraction to an educational centre started. 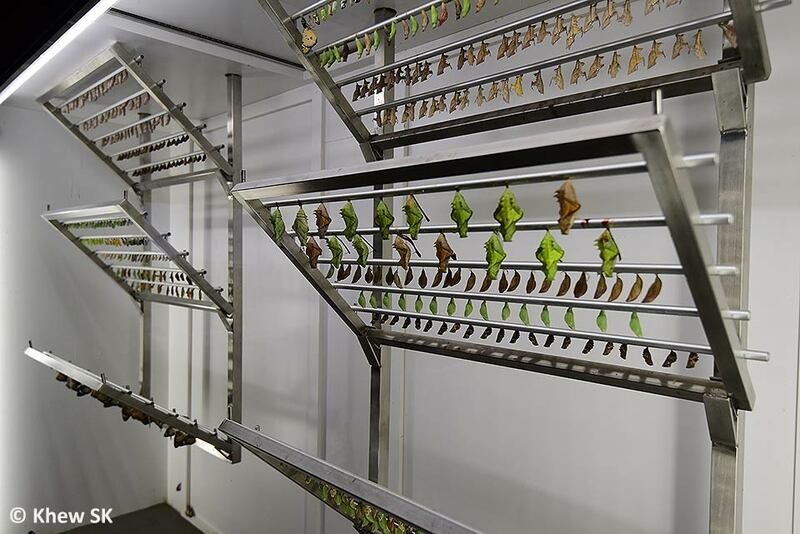 Called "Entopia", from the words entomology and utopia, the metamorphosis progressed steadily over a decade. 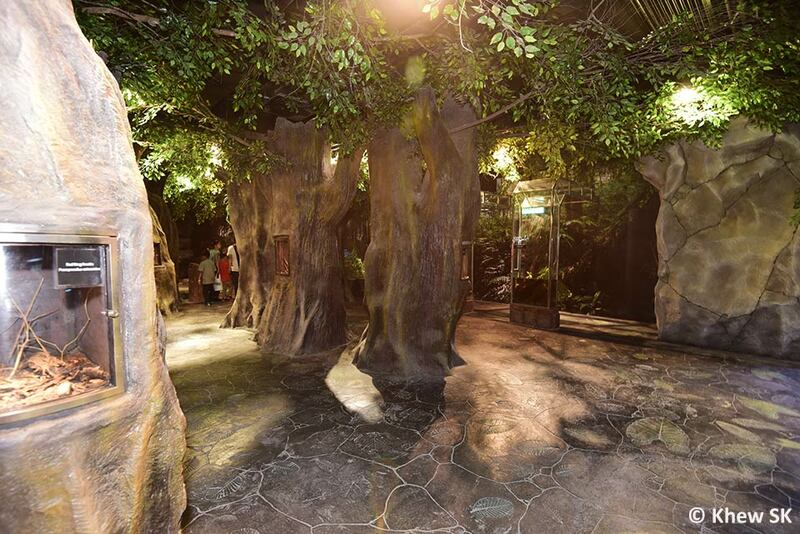 Ten years later, that dream has been realised. At the Grand Opening of Entopia on 8 Jul 2016, a small crowd of 400 guests was treated to the "Utopia" that Joseph dreamt about all these years. 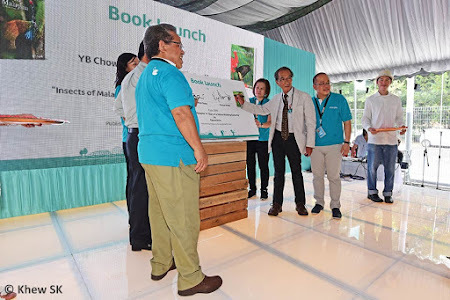 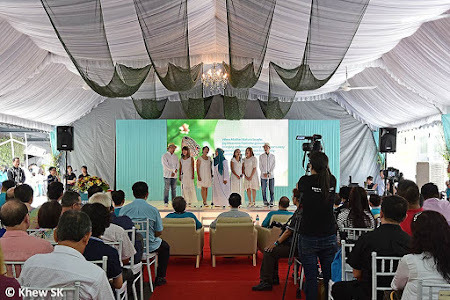 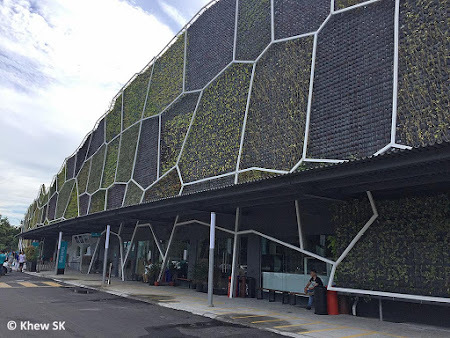 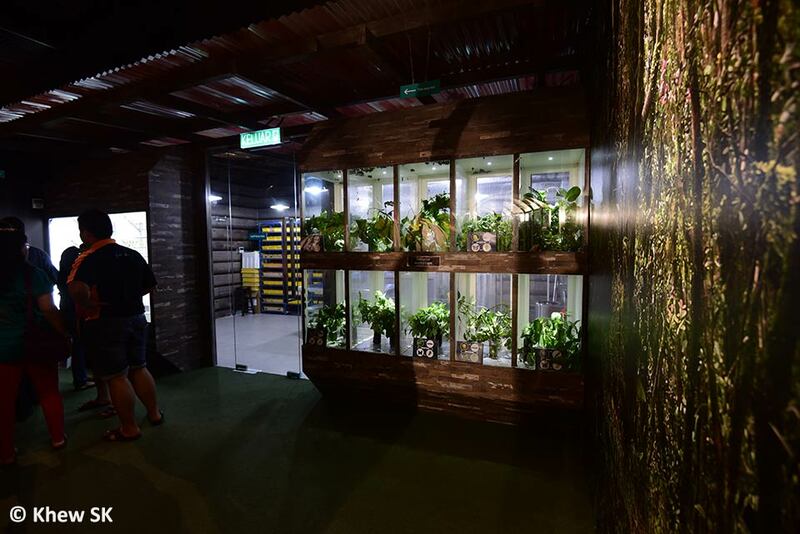 Covering a total of about 9,300 sqm - almost four times the area of the original Penang Butterfly Farm, Phase 1 of Entopia was officially opened to the public. Joseph generously invited me to attend the Grand Opening, and I gladly jumped at the opportunity to see for myself, the realisation of his dream project. 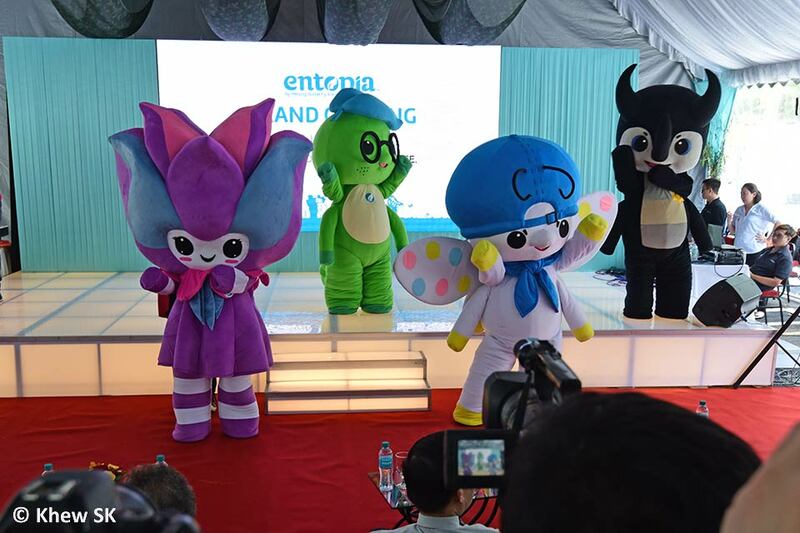 Graced by State Local Government Committee Chairman YB Chow Kon Yeow, the short opening ceremony featured a performance by the staff of Entopia, the introduction of Entopia's mascots and a book launch by Japanese author and photographer, Mr Kazuo Unno. David Goh, the founder of Penang Butterfly Farm, gave a very moving speech as he shared his journey that started 30 years ago. He was obviously proud of how far his brainchild has come and doubly proud that it was his son who carried on his legacy. 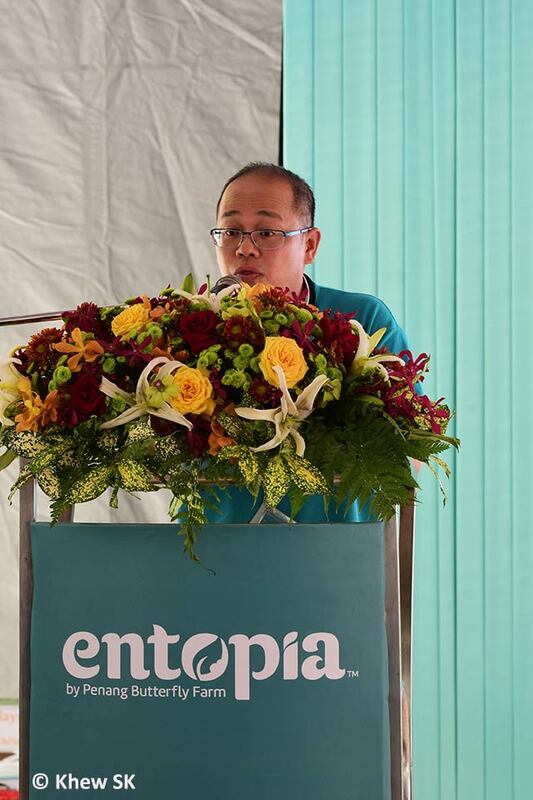 The Guest of Honour officially declared Entopia open, amidst the fanfare, energy and colour of a lion dance troupe. 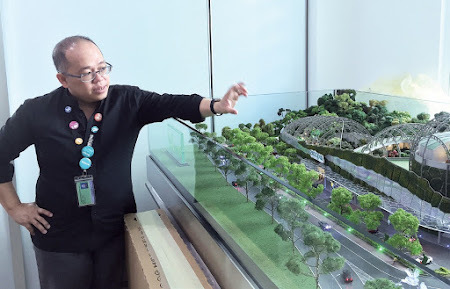 Joseph, who studied architecture in the US, used his training to conceptualise an interactive educational experience from the moment a visitor starts his journey at the entrance of the facility. 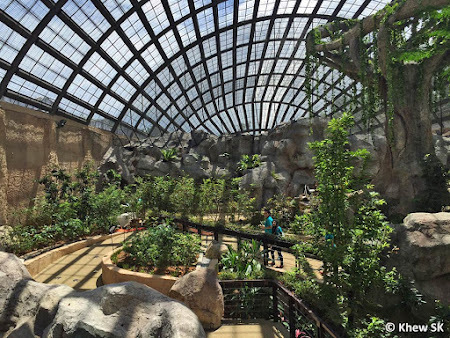 Moving along a prescribed route, the visitor will be taken past various themed attractions like Mystery Cave, Montane Pass, Tiger Trail, Pandora Forest, Lumino City, Downtown Entopia, Breeding Ground, Underground Mysteries and Understory Tales. 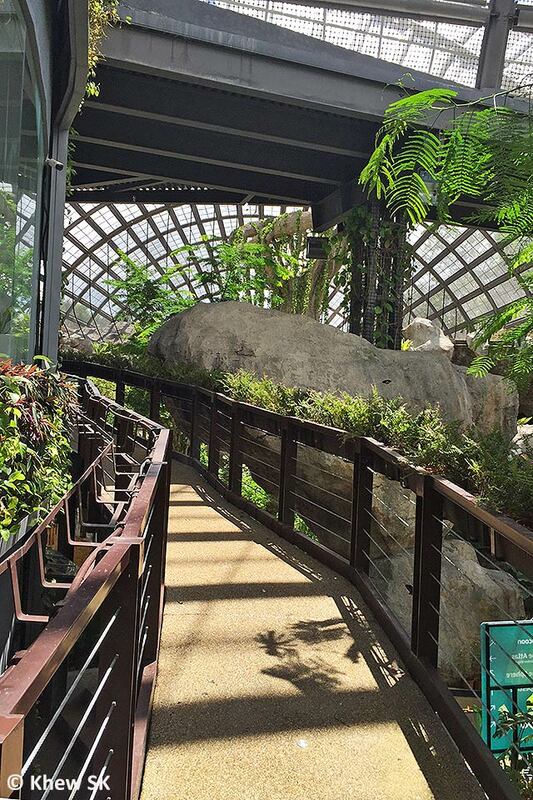 Along the route and past different habitats, one is surrounded by an average of 15,000 fluttering butterflies within the outdoor enclosure. 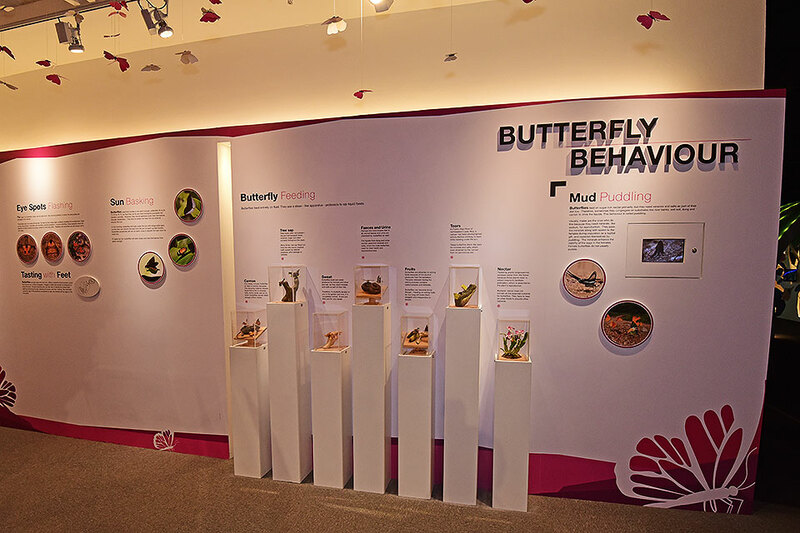 The outdoor flight enclosure, called The NatureLand, features ample signage with snippets of information to educate the visitor about the butterflies that he encounters on his route. 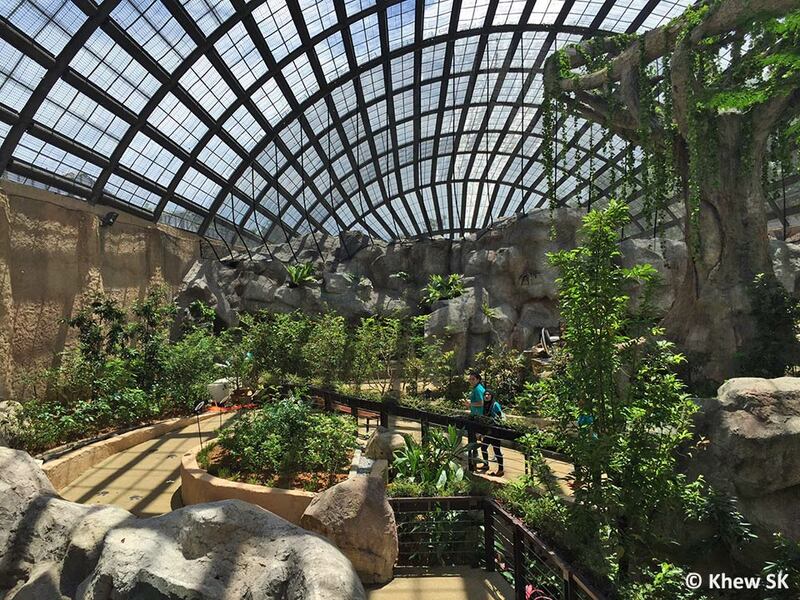 The clever use of pathways that wind in and out of "caves" and into the open high-volumed spaces keeps the visitor engaged and entertained. 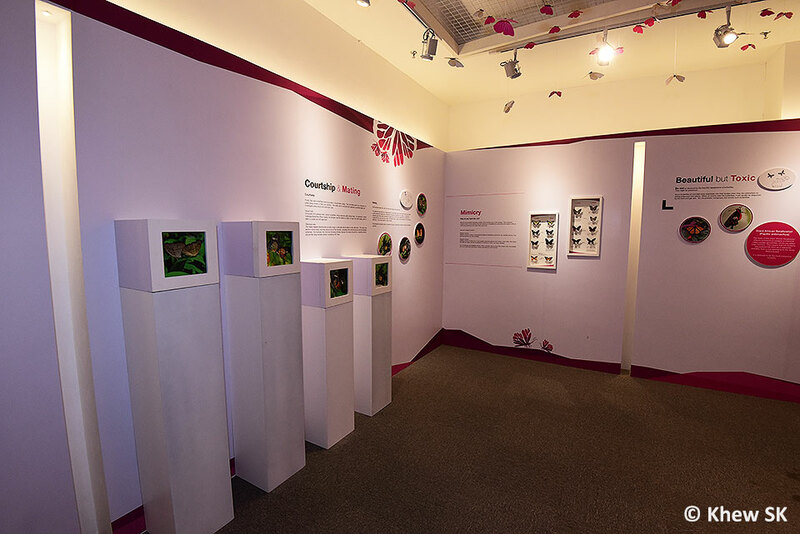 Moving up and down along ramps, the visitor may not realise that the vertical elevation is also utilised to add interest to the experience and create ever-changing vistas. 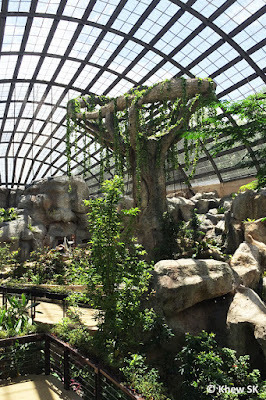 Lush greenery and the sound of falling water add to the tropical forest experience, and the fluttering butterflies - feeding, sunbathing and chasing each other around, heightens the nature experience in an outdoor tropical setting. Besides butterflies, other invertebrates and reptiles are also featured as they are very much a part of the ecological experience, when one is out in the field. 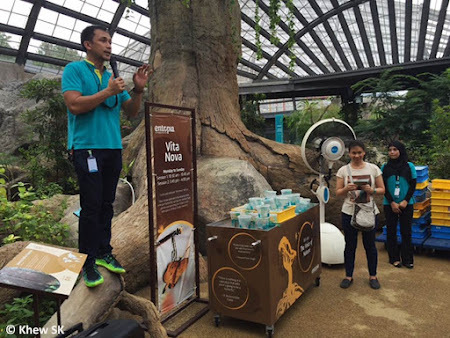 The visitor will be amazed at the variety of dragonflies, scorpions, millipedes, stick and leaf insects and many other surprises that are featured along the journey. 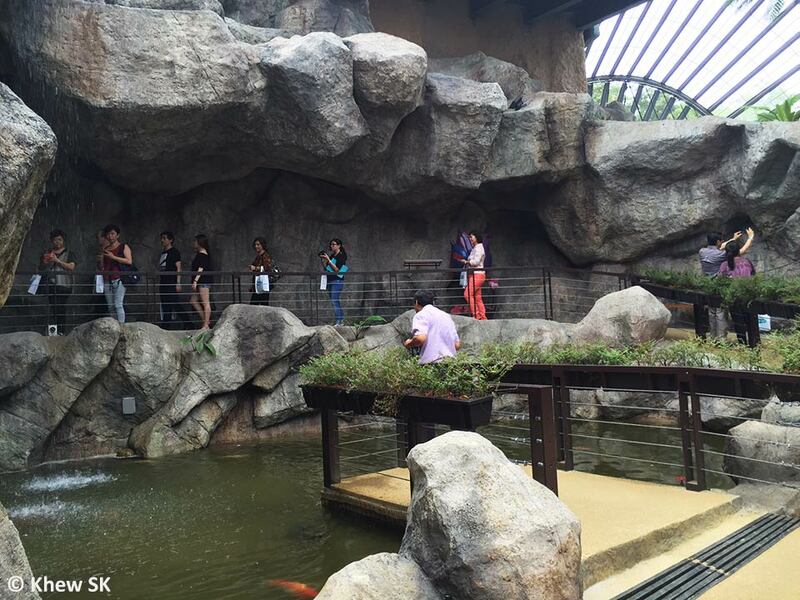 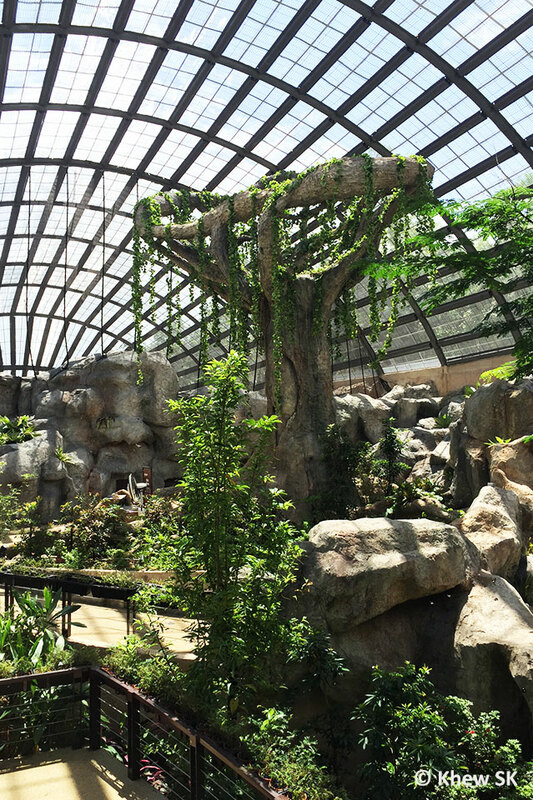 The outdoor circulation route in The Natureland is designed based on universal design principles. The route is wheelchair friendly, and seats are thoughtfully placed for the elderly to take short rest stops along the ramps. 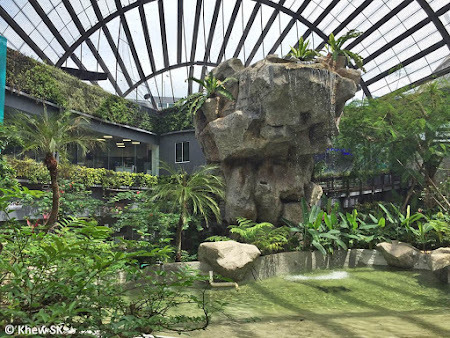 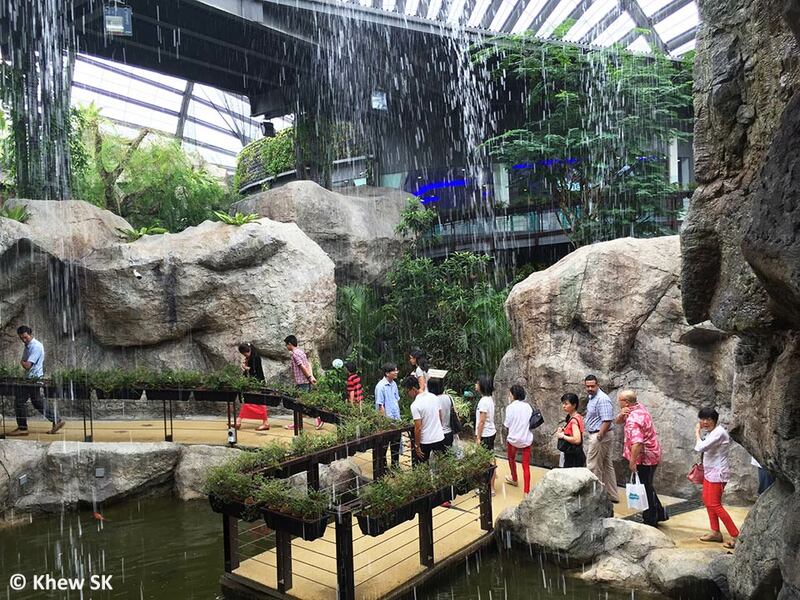 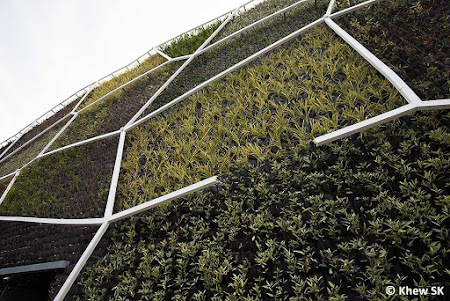 The ambient temperature is surprisingly cool, probably because of the greenery and water features that help to keep the outdoor temperatures at bay without the use of airconditioning. After the visitor is happy with the outdoor experience, the journey is not over yet! 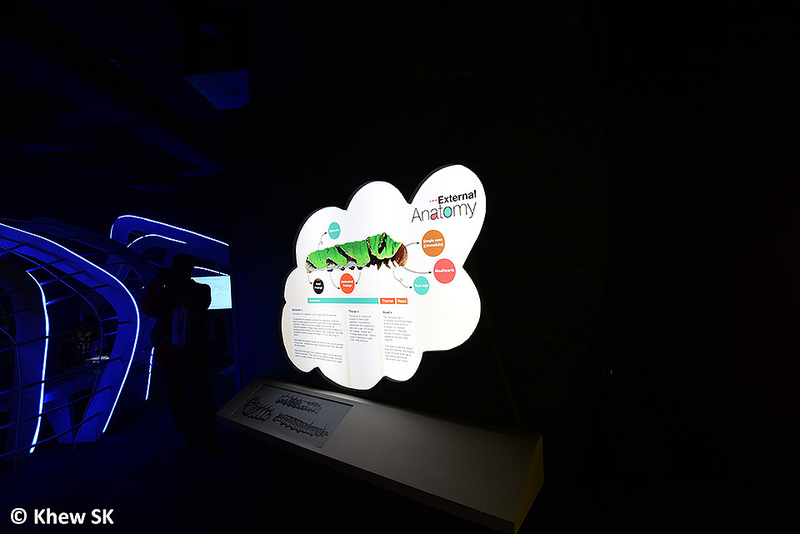 The second part of the educational tour begins in the two-storey indoor discovery centre called The Cocoon. Joseph Goh shared that "“The Cocoon is entirely a state-of-the-art facility enhancing visitors’ experiences with technology guided interpretation." Indeed, as your eyes adjust to the dim lighting when you move indoors, you experience a different world where technology takes over the next leg of the educational and learning journey. 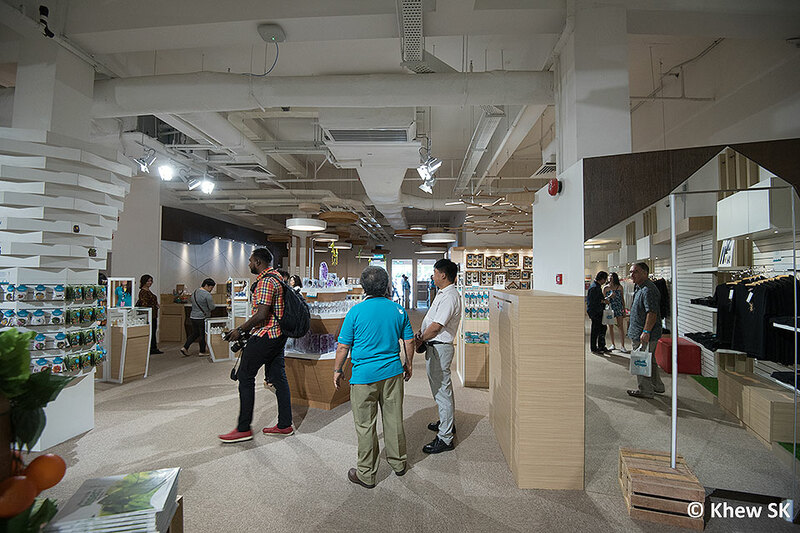 Large interpretative signage with physical and larger-than-life sculptures welcome you into this indoor world. 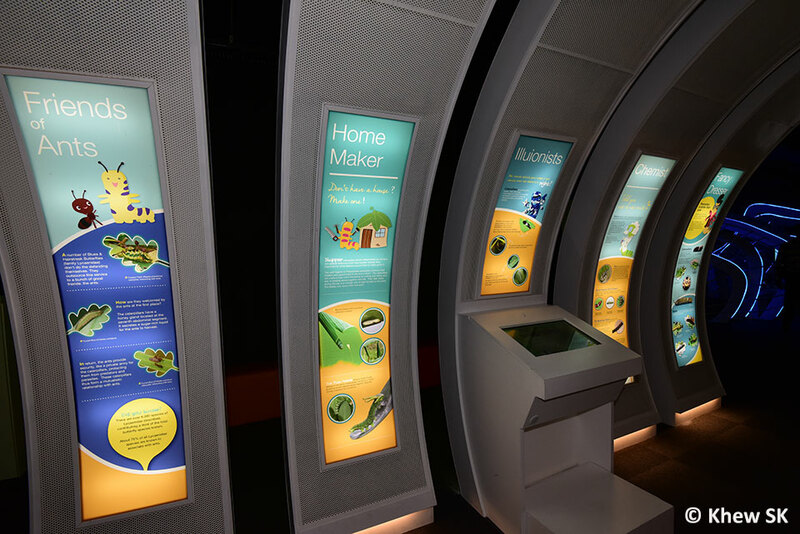 The cool airconditioned space in the Cocoon is a welcome change to the warm humid conditions outside, as you slow down your pace and read the educational signs that tell you everything you need to know about butterflies. A special display in the Cocoon features fireflies, spiders and a whole spectrum of other invertebrates. Digital media is also used to augment the learning experience beyond what static signage can do. 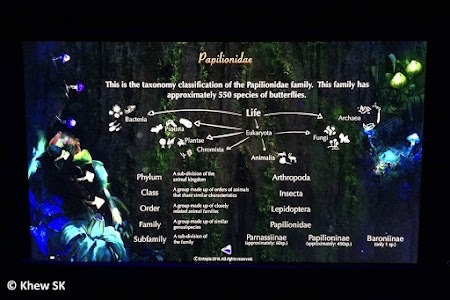 Touch-screen computer screens offer a whole lot of information from taxonomic classification of butterflies, to behaviour and life histories. Breeding Ground - display of host plants, early stages and how the pupae are prepared for eclosion - all behind a glass screen : see no touch! As the visitor exits from the educational and learning journey into the souvenir shop at the end of the facility, he may not be totally aware that he has walked a total of about 1.7km through the Natureland and Cocoon! 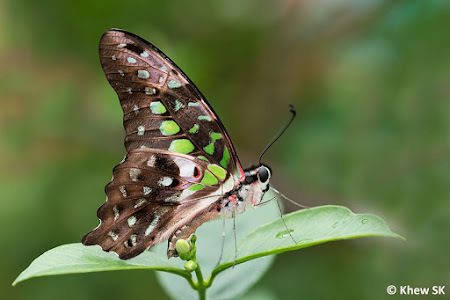 If a typical visitor takes his time to read all the signs and experience the butterflies in the outdoor area, an estimated visit time of about 4 hours is probably just about right. 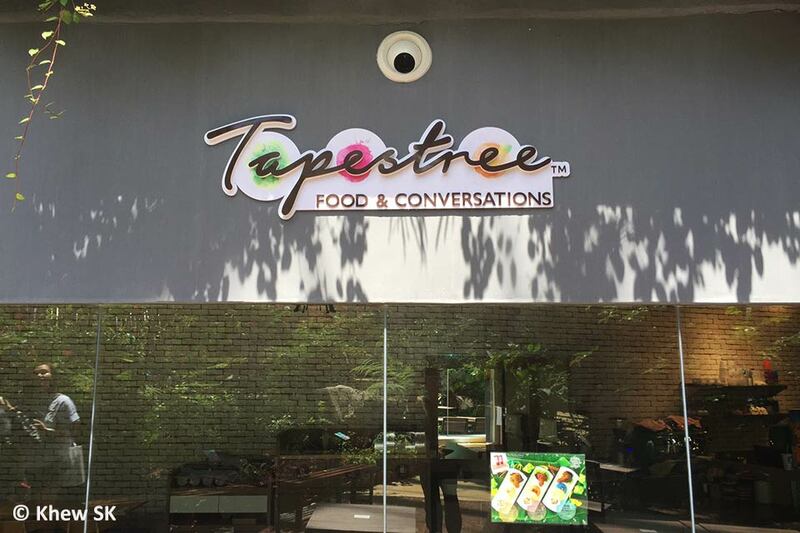 There is even an F&B outlet aptly called the Tapestree within Entopia to cater to the thirsty and hungry visitor. Special dining areas for functions and corporate events are also well located with a full vantage view of the Natureland, where diners can enjoy their food in airconditioned comfort whilst watching the colourful butterflies flutter around. 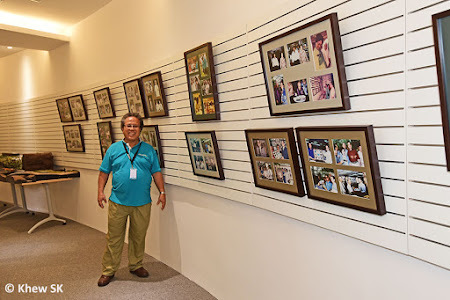 I was also shown the office area where there is a gallery of photos showing all the distinguished visitors to the Butterfly Farm through the years. I also spotted a shot of Singapore's founding Prime Minister, the late Mr Lee Kuan Yew, smiling widely with an Atlas Moth perched on his shirt when he visited the Butterfly Farm many years ago. 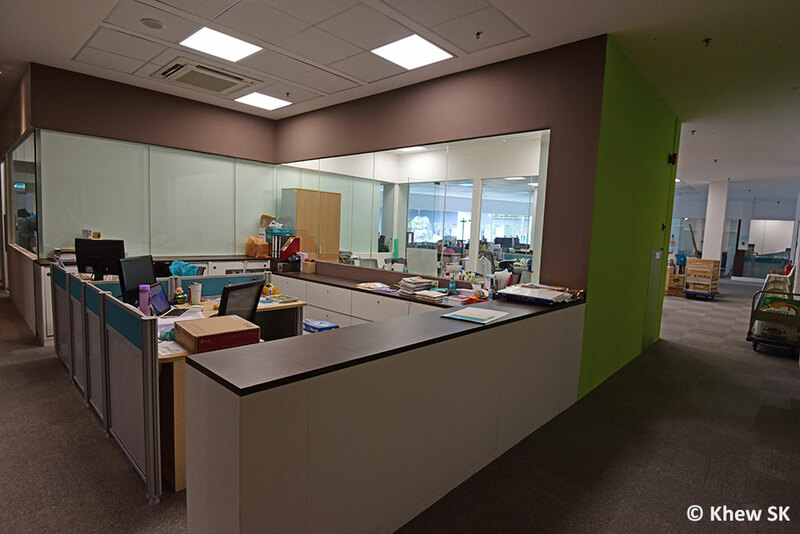 It was impressive to note that the staff office area had a nice window view into the NatureLand. So even the "back-of-house" is actually visually well-connected to the outdoors where staff can also enjoy the butterflies! 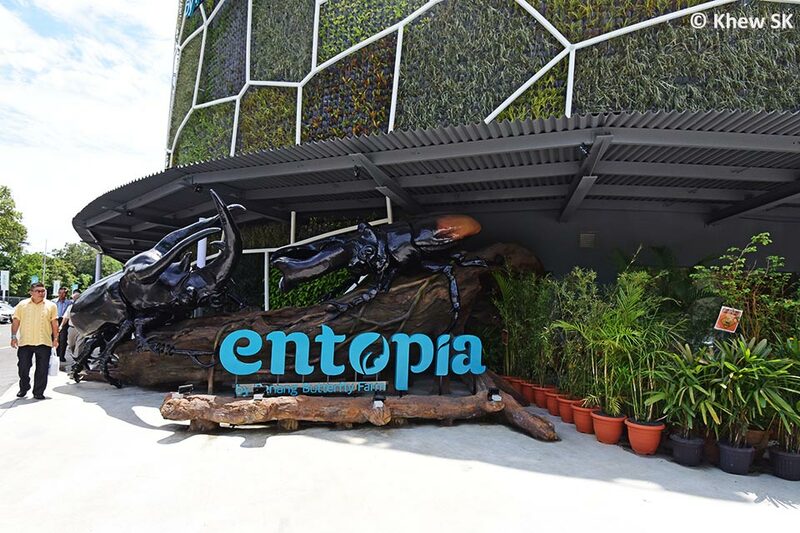 For the standard entrance fee rate of RM49 (or SGD16.50), the visit to Entopia is certainly value for money! 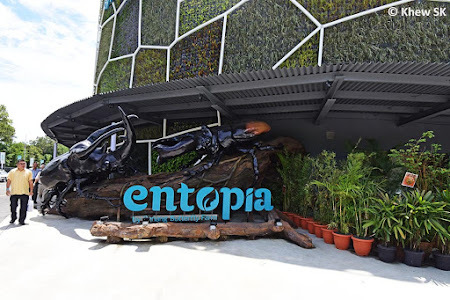 Compared to Singapore's Sentosa Butterfly and Insect Kingdom, which has a similarly-priced entrance fee, Entopia offers much better value, a far richer experience and educational journey to the layman nature enthusiast or the expert butterfly researcher alike. 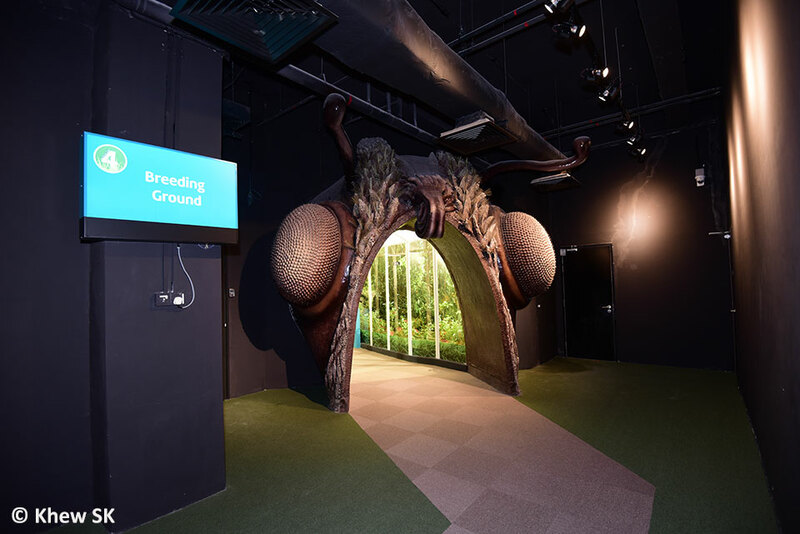 There is also a Friends of Entopia membership which allows members unlimited year-round entry to Entopia and also a members-only lounge. 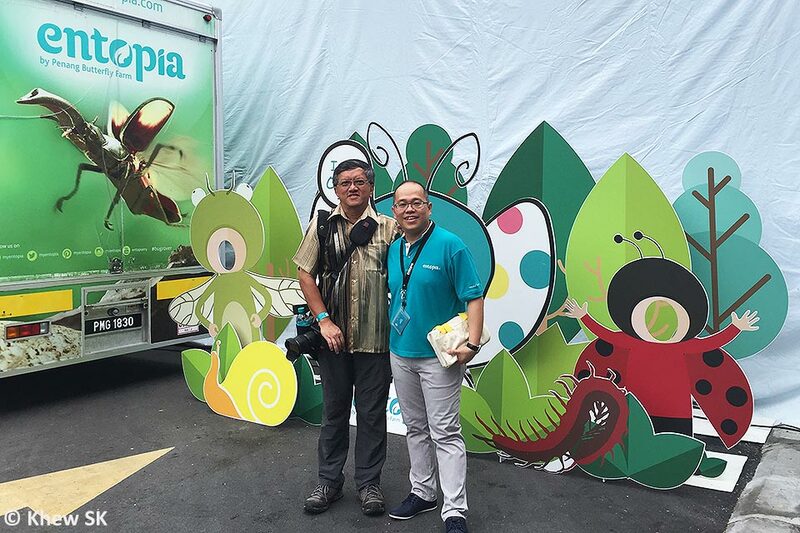 So, for those who have more than a day to spend in Penang, do pay a visit to Entopia and immerse yourselves in the world of butterflies and more. You will not be disappointed! 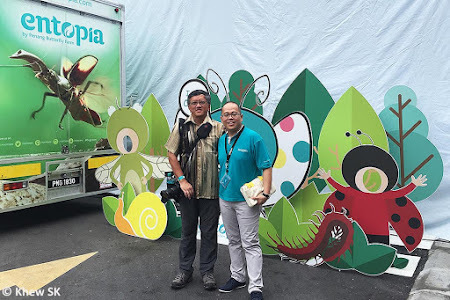 Acknowledgement : To my friends, David and Joseph Goh for your kind invitation to the Grand Opening of Entopia, and a special congratulations to all Entopians for realising a dream that you can all be very proud of.